Sign Up for free to save time shopping iLava's wholesale products on LeafLink. iLava uses an artisan approach to our design and production practices with the purpose of efficacy and consistency by focusing on purity. Clementine is a sweet, citrus flavored sativa hybrid that combines Tangie with Lemon Skunk genetics. Clementine eliminates stress and pain while cultivating creativity and energy. Clementine is great for daytime use. Delta 8 THC (Δ8) is a powerful cannabinoid native to the cannabis flower. It is typically found in much smaller amounts compared to Delta 9 THC (Δ9), its common psychoactive cannabinoid relative. While only a few atomic bonds are different from common THC, Δ8 offers a unique, potent high that is not like traditional THCA, CBD, or other common cannabinoids. Consumers of Δ8 THC have reported experiences that include clear-headedness, soothing body sensations, and relaxation with a lower psychotropic effect. Research shows that Δ8 THC contains properties that may help reduce stress or tension, stimulate appetite, or reduce nausea. 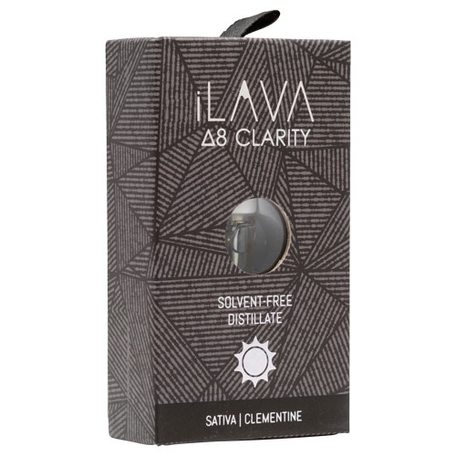 We follow a unique process to ensure that we are producing high quality clear distillate in indica, sativa, hybrid, and raw vape cartridges, which we distribute as iLava Δ8 Clarity. Mimosa is a cross of Clementine and Purple Punch and has been known to contain respectable percentages of the terpenes limonene and beta-caryophyllene. The strain is great for focus and feeling uplifted while going about your day. 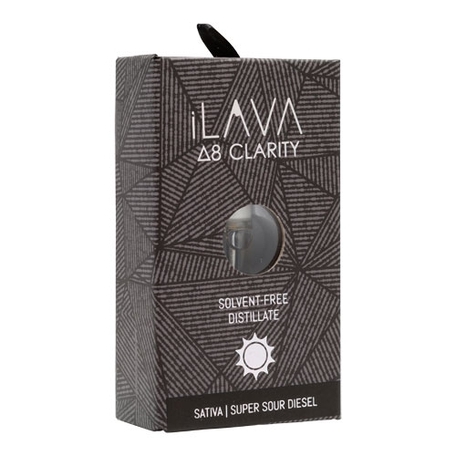 The signature iLAVA Δ8 Clarity RAW vape is perfect for those looking for a way to medicate with little to no flavor profile and minimal psychoactive effects. Raw is Delta 8 in its purest form and its effects are a direct result of the Delta 8 cannabinoid. 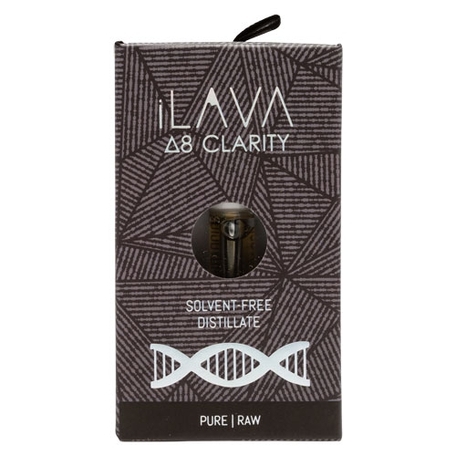 Our Delta 8 RAW vape cartridge does not have any strain specific characteristics or any biases towards indica or sativa - nor does it have any ingredients that would modify the original cannabinoid profile. While only a few atomic bonds different from common THC, Δ8 offers a unique, potent high that is unique and different from traditional THC, CBD, or other common cannabinoids. Consumers of Δ8 THC report experiencing pervasive body sensations, relaxation, and clear-headedness, with a lower psychotropic effect. 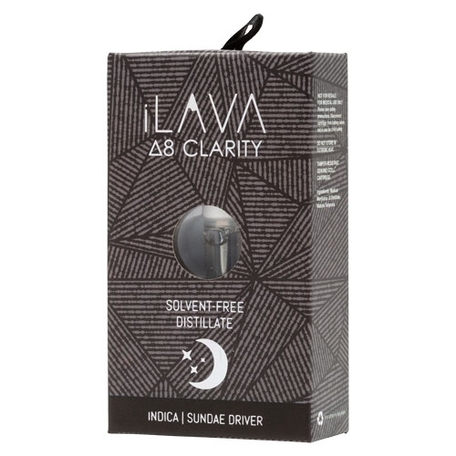 The indica-dominant cannabis strain Sundae Driver derives its name from its delicious terpene profile that gives it a sweet and smooth taste. Sundae Driver has been reported to help patients feel calmer and happier, with the stressors of daily life dissipating. Patients have noted its ability to help with some forms of pain relief as its indica effects overpower its sativa effects. Super Sour Diesel is a cross between Super Silver Haze and Sour Diesel. Super Sour Diesel eliminates stress and pain while fostering creativity and euphoria. In true sativa form, Super Sour Diesel energizes, making it great for daytime use. 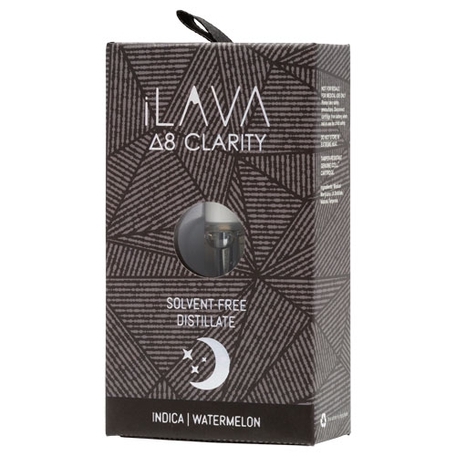 Watermelon is an 80% indica strain. Watermelon provides relaxing effects and is useful as a sleeping aid or appetite stimulant. As the name suggests, this strain has a distinct fruity watermelon flavor profile, reminiscent of grape with hashy undertones. 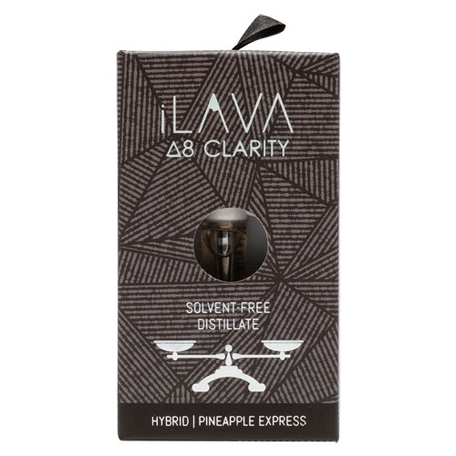 iLava Touch - 2.85 oz. Each case contains 25 2.85 oz iLava Touch units. 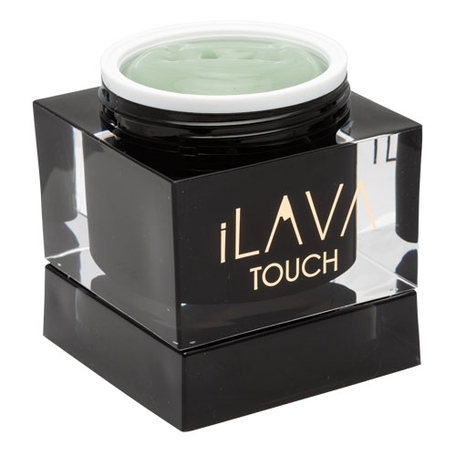 iLava Touch is a purpose-formulated topical gel that combines 550 milligrams of THC and CBD oil with our evidenced-based essential oil blend. Our research and development efforts were directed at creating a fast acting product that incorporates all natural ingredients with proven therapeutic benefits. 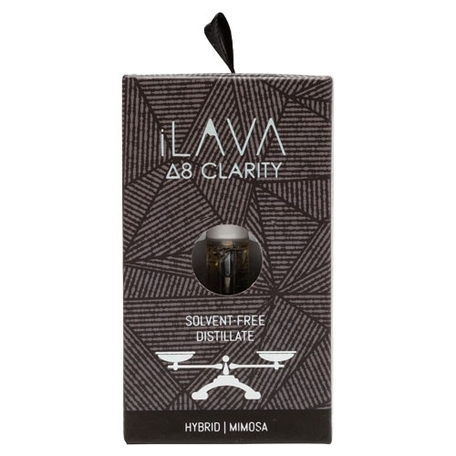 The 3 primary essential oils used in iLava Touch represent some of the most efficacious ingredients found in traditional therapies: corsican helichrysum, mango ginger and blue tansy. 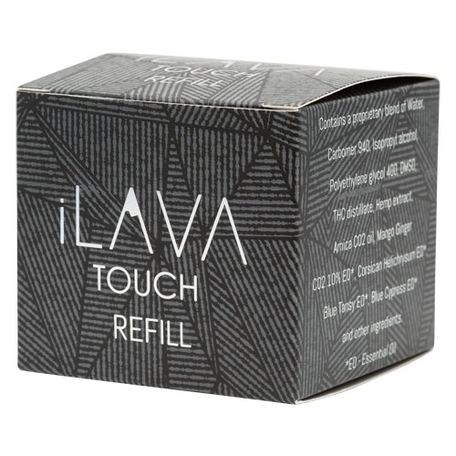 iLava Touch Refill - 2.85 oz. Each case contains 25 2.85 oz iLava Touch Refill units. iLava Touch containers cannot be easily recycled as they are made from acrylic plastic. Acrylic plastic is not recycled easily. Among recycled plastics, it is considered as a Group 7 plastic and mostly not collected for recycling. It is possible to form large pieces into useful objects in case they have not suffered crazing, stress or cracking. These are not readily biodegradable. iLava Touch refills allow the patient to easily replace the interior plastic bucket and keep the original container for a long time.